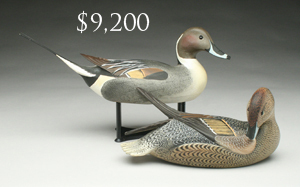 Easton, Maryland - Guyette & Deeter, Inc. conducted their annual fall decoy auction on November 10 at the Talbot County Community Center in Easton, Maryland. 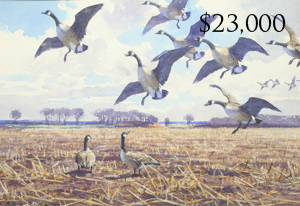 The sale was held in conjunction with the Easton Waterfowl Festival and was accompanied by a Buy, Sell & Swap. 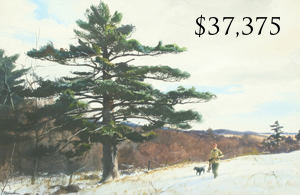 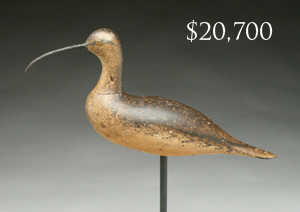 The auction grossed $1.8 million, with 33 lots selling for over $10,000 and two lots selling for over $100,000. 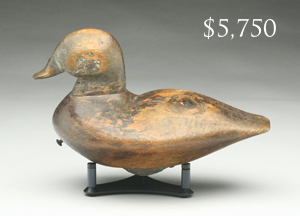 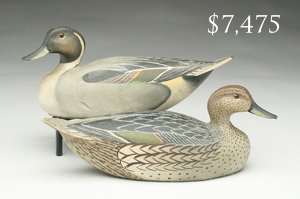 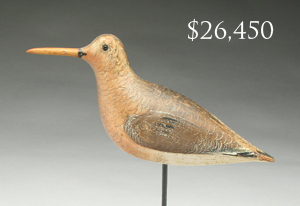 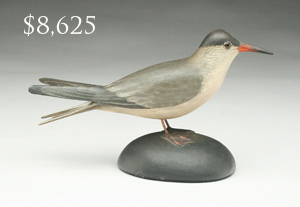 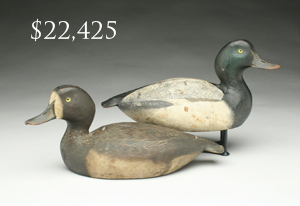 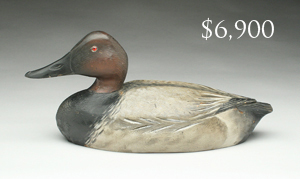 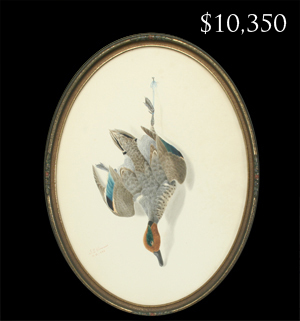 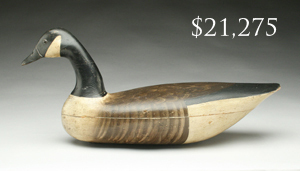 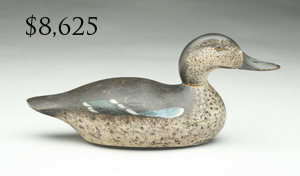 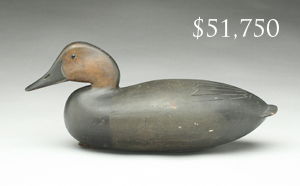 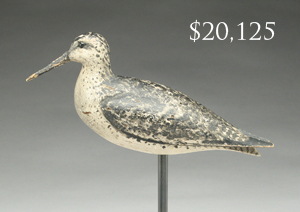 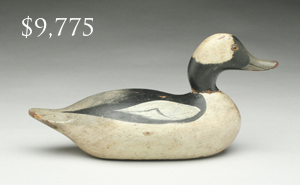 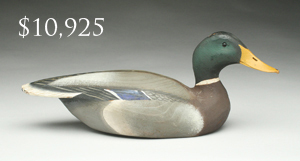 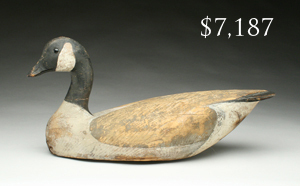 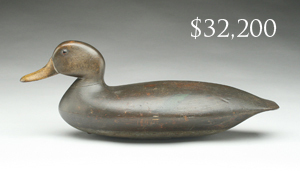 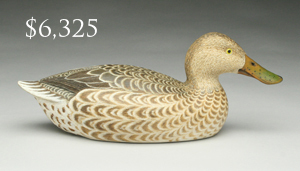 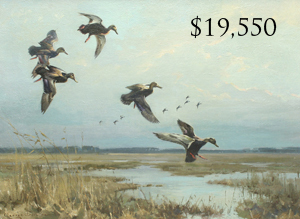 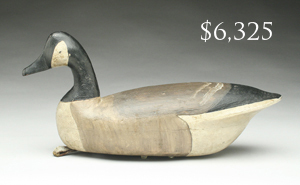 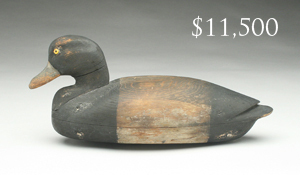 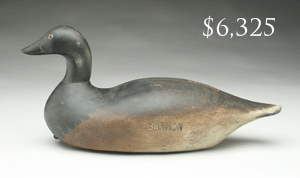 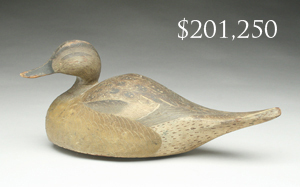 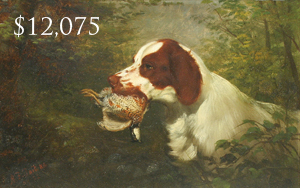 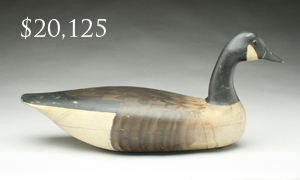 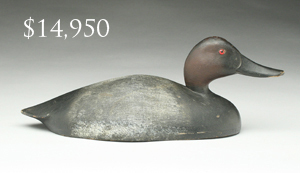 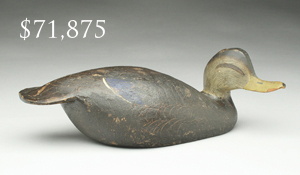 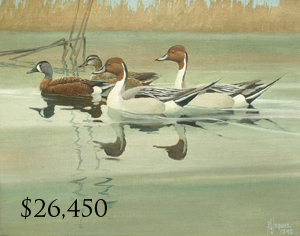 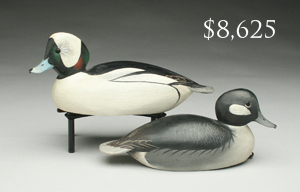 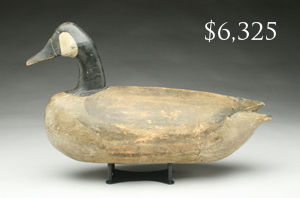 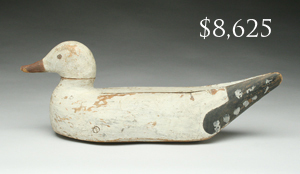 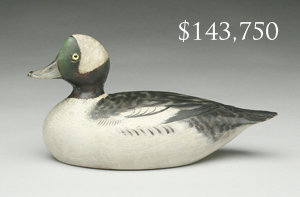 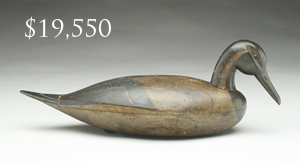 The top lot in the auction was a museum quality "humpback" style pintail hen by the Ward Brothers that sold for $201,250, a world auction record for the Ward Brothers. 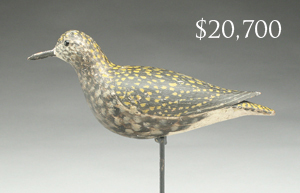 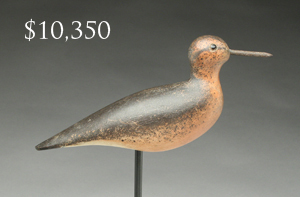 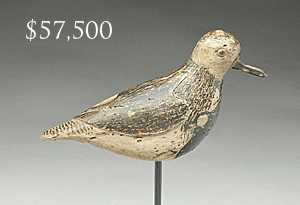 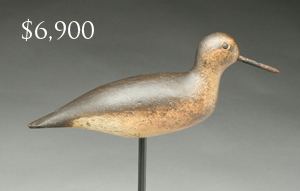 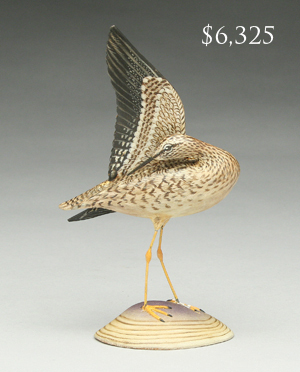 The sale featured the collections of John Baker, Dr. Lloyd Griffith, Joseph Hegarty, Porter and Patti Hopkins, Paul Tudor Jones II, Doug and Ellen Miller, Harold and Nancy O'Connor, Carl Olson, Gene and Dianne Orgeron, Greg Stanley, and Bruce Williams. 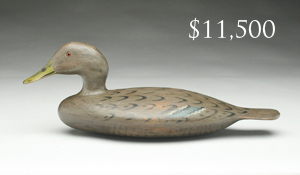 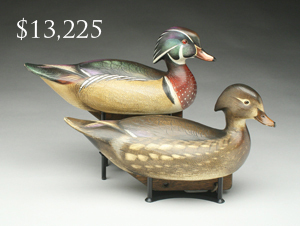 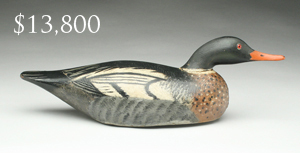 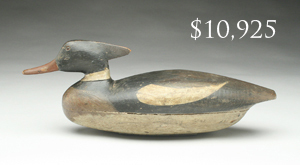 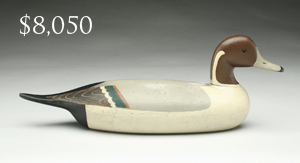 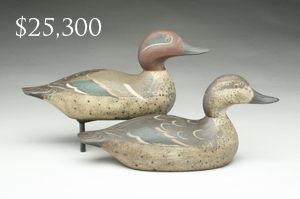 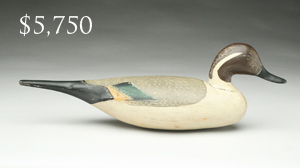 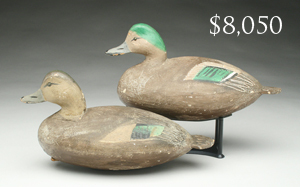 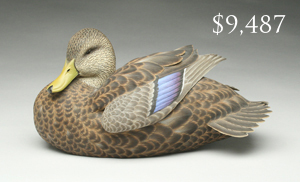 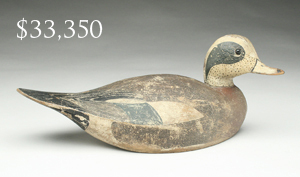 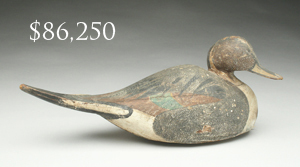 Guyette & Deeter's next decoy sale will be held February 18, 2017 in Charleston, South Carolina. 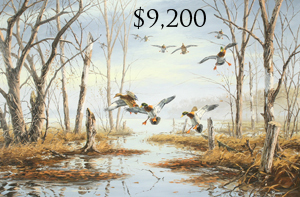 It is held in conjunction with the Southeastern Wildlife Expo. 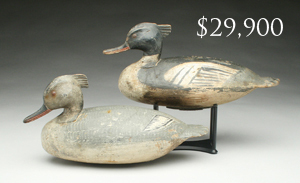 Quality consignments for the sale will be accepted until December 22 or until full. 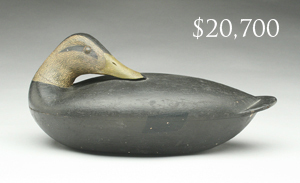 Black duck, John Blair, Sr.